You can also hear a radio interview with Lauren McWhinnie and Adam Stirling, radio host with C-FAX 1070. NEMES will share a booth with our colleagues from SIMRES, where we will display our outreach materials and talk about the research we are doing at UVIC about noise and the impacts that have on local resident killer whales. MEOPAR is renewed for another 5 years! “The Honourable Kirsty Duncan, Minister of Science, announced $28.5 million in renewed support for MEOPAR from the federal Networks of Centres of Excellence Program. The funding will support MEOPAR research, training and knowledge mobilization activities over the next five years.” Learn more here. Check out our new publication with Frontiers!! Chronic anthropogenic underwater noise, such as vessel noise, is now recognized as a world-wide problem. Marine noise from vessels, ranging from super tankers to small motorboats is increasingly recognized as being both a persistent and pervasive pollutant. Furthermore, due to its spatial and temporal variability, vessel noise pollution represents a particular challenge for marine conservation, management and planning. 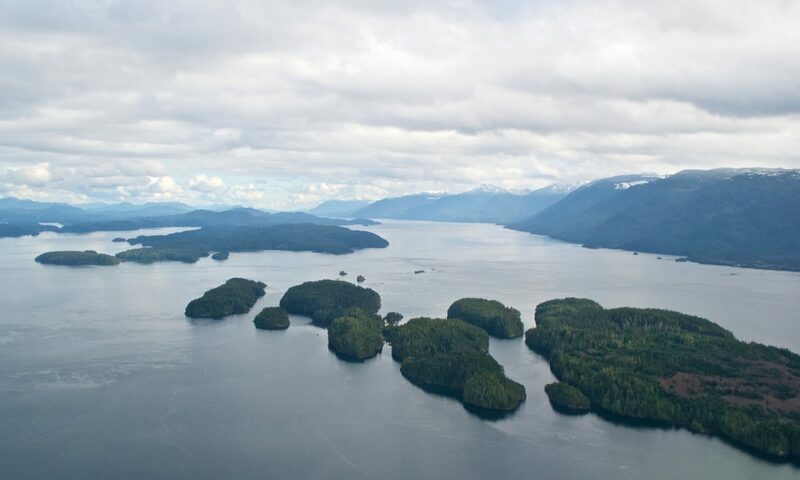 This paper presents the outputs of a horizon scanning exercise that brought together a group of 40 individuals from across Canada, including: researchers, policy makers, NGOs and other end-users who work in the field of marine acoustics. The goal was to identify priority information needs, related to marine vessel acoustics, to inform new research and address policy needs. Via an iterative Delphi style process, participants identified ten priority research questions related to marine vessel acoustic science; for example, How important is it to identify and maintain acoustic refugia? 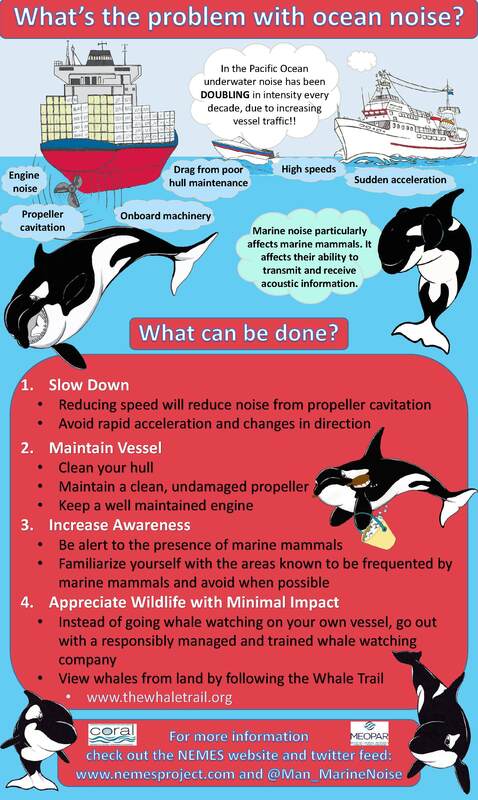 What attributes of marine vessels are the most effective indicators of marine noise? The questions were then further considered in terms of extent of current knowledge, time scale by which they can be achieved, the financial resources required and the importance of answering the question. Subsequently, the authors conducted a search of the peer-reviewed literature to situate the challenges highlighted by the horizon scanning exercise within the broader global research. Results show that investigating the attributes of marine vessels that are the most effective indicators of marine noise is a viable research question to tackle first. In addition, underpinning many of these questions is the need of long-term data collection and monitoring of both vessel traffic and marine mammal populations.